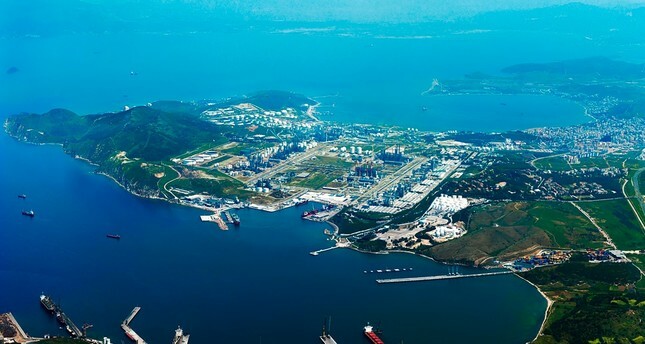 The State Oil Company of the Azerbaijan Republic (SOCAR) is establishing a petrochemical research and development (R&D) center in the Aliağa peninsula in the Aegean province of Izmir, Daily Sabah reported. SOCAR's new investment, which is said to cost about $1.5 billion, will be completed in late 2020. Businesspeople from Azerbaijan, the largest foreign direct investor in Turkey with $26 billion, have once again turned their route to Turkey. Gathered under the invitation of Azerbaijani Businessmen Association (TAİB) Chairman Mehdi Nagiyev, the country's businesspeople said they aim to double this investment in the next few years. Nagiyev, on the other hand, stressed that approximately $5.5 billion of the $26 billion investment from Azerbaijan was carried out by the business circle. Mammadov pointed to the ongoing oil and petrochemical R&D project realized in Aliağa, İzmir with an investment of $1.5 billion, adding they are currently in the project phase of the largest R&D center of the Aegean region. SOCAR has invested around $15 billion in the 11 years since it began investing in Turkey after it acquired the country's leading petrochemical company Petkim in 2008 for $2 billion. Turkey and Azerbaijan witnessed on Oct. 19, 2018, the inauguration of the largest single-location real sector investment in Turkey, the SOCAR Turkey Aegean Refinery (STAR), in İzmir's Aliağa district. The grand opening ceremony was held with President Recep Tayyip Erdoğan and his Azeri counterpart İlham Aliyev in attendance. The $6.3-billion refinery is poised to be one of the biggest petroleum and gas operations in Europe, the Middle East and Africa. The total output of STAR is expected to decrease Turkey's current account deficit by $1.5 billion annually, by substituting refinery imports with domestic production. Turkey meets the majority of its oil and natural gas demand through expensive energy imports, which is a major expense on the country's budget. TAİB Chairman Nagiyev further noted that they have confidence in the future of the Turkish economy, stressing they will continue to make long-term investments in the country. "Azerbaijan invested $26 billion in Turkey in total until 2018. Azerbaijani businesspeople operating in Turkey undertook about $5.5 billion of this figure. Investments can be made in any sector," he continued, highlighting they want these investments to increase. Azerbaijan is Turkey's largest investor. Deemed impossible by some, the Baku-Tbilisi-Ceyhan Oil Pipeline, the Baku-Tbilisi Erzurum Natural Gas Pipeline, the Trans-Anatolian Natural Gas Pipeline (TANAP), and the Baku-Tbilisi-Kars Railway Project were realized through the cooperation of the two countries. Today more than 2,000 Azeri companies are operating in Turkey and doing business all over the world, especially in Europe, through our country. Meanwhile, around 2,500 Turkish companies operate in Azerbaijan." Mammadov added that they invested heavily in oil and petrochemical and touched on the acquisition of the distribution companies Kayserigaz and Bursagaz a few months ago. "Gas investments in Turkey will also probably grow under SOCAR. Natural gas is a field we want to develop as a company," he concluded.